The Vickery Village Farmers Market is held in the Vickery Village Courtyard. From April 11 – October 24, the Farmers Market will be open Thursdays from 9 a.m. – noon. 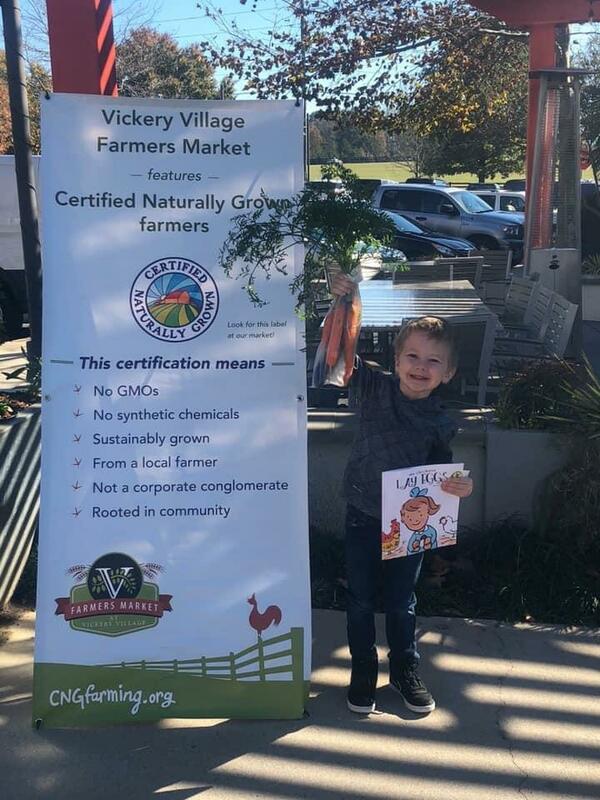 The mission of the Vickery Village Farmers Market is to provide access to fresh, high quality, locally-produced and healthy food products to the local community. All products offered at the market will be produced by local farmers and vendors and grown or produced using organic practices to the extent feasible. The market standard incorporates the principles embodied under the Certified Naturally Grown (CNG) guidelines. Farmers that have received their CNG certification or USDA Organic certification will be given preference as well as those located in Forsyth County and within a 50 mile radius of Vickery Village.